You'll be instantly hooked on this Thai Peanut Sauce recipe if you're anything like me and have a fixation on Asian flavors. 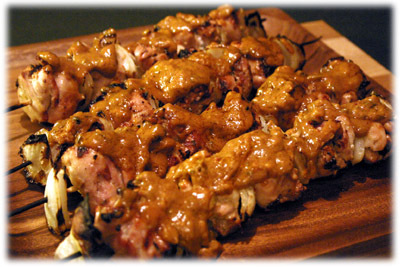 You may already have noticed how many of the recipes on this website have an Asian influence, it's an indication that I truly believe these flavors are a natural fit with BBQ & Grilling. 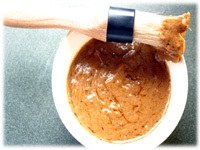 This peanut sauce recipe is ideally suited to the new Thai barbecue chicken recipe as well as the Thai marinated grilled shrimp as either a dipping sauce or drizzled over the grilled kabob's before serving. I used a smooth peanut butter the first time I made this but I've been experimenting with the crunchy peanut style instead and I think I like it better. Go ahead, Thai one on. 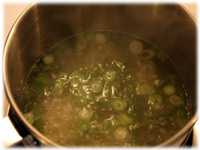 Pour the chicken broth in a small saucepan and bring to a boil. 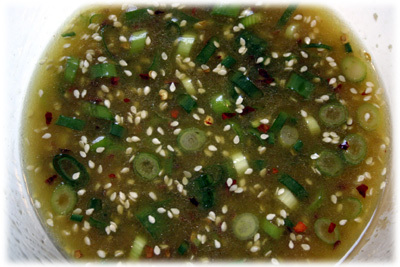 Reduce the heat to a simmer and add the chopped green onion and garlic. Simmer for several minutes until the onion softens. 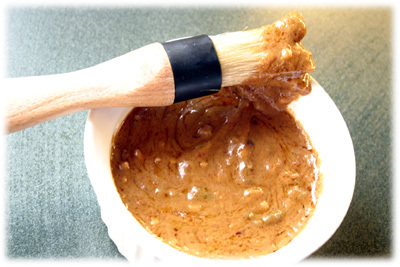 Combine the remaining ingredients for the peanut sauce and stir very well to combine. This peanut sauce is best served warm.